Model 1 - Lots of power across the whole range, with a moderate to high resistance. Medium bright tone. Model 2 - Easy to play and very even between octaves. Dark and mellow tone compared to other models. Model 3 - Lower resistance compared to Model 1, with a medium to bright tone and very responsive due to tip design. 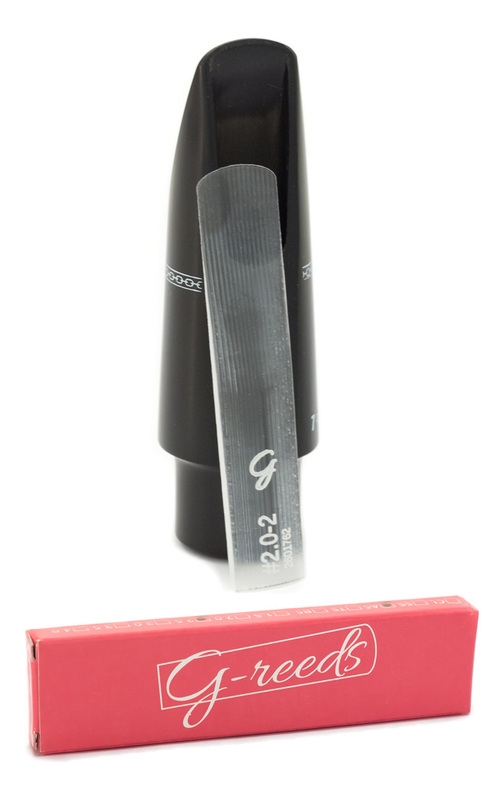 *All G-Reeds are available on 14 day trial so you can swap the strength if needs be. We developed G-REEDS from scratch, without any kind of reverse engineering, nor by using existing products as a reference. After many tests we found a material which fulfills all of the requirements we defined at the beginning. We created a mathematical model which allows us to estimate the reed tone (brightness/darkness) for a given material’s physical properties. Based on that information we developed a geometry which generates the desired tone. For the entire development process we used GNU Linux and open source software. This was for philosophical reasons; and also due the high quality of the available software tools, sometimes surpassing expensive commercial tools. We received valuable help about using polymers from the Department of Plastics of the INTI (National Institute of Industrial Technology, Argentina). With the technical information we obtained during the research process and the conclusions of the early development stages, we developed a Python application for calculating and generating every reed geometry. This software allows us to modify key parameters and to get reeds with the desired tone and response properties, or to create new models quickly. Reeds made of man-made materials and produced in a systematic fashion can guaranteed unparalleled consistency vs a normal cane reed. This isn't necessarily to do with the accuracy of production but due to the fact that a standard cane reed has internal fibres which vary between each reed, irrespective of the accuracy of the external cut. This consistency from a synthetic reed can be very reassuring for players of all levels who want to simply know what their reed will do on any given day, irrespective of conditions and irrespective of which one they pull out. High quality synthetic reeds are now very flexible and responsive in tone and of course they will last far longer than any natural cane reed. I ordered this reed online having had it recommended to me by staff, during a recent visit to the shop. It worked exactly as described to me and, although I need to change the reed strength, I am very happy with my purchase.